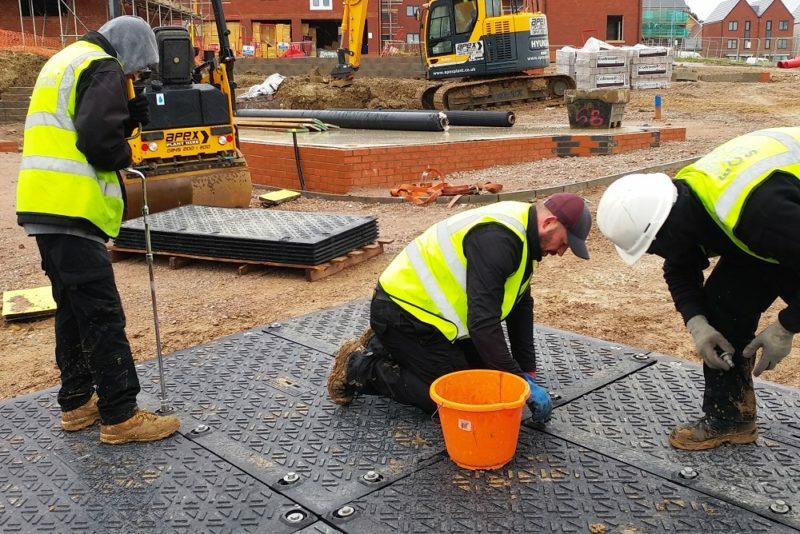 CLICK HERE FOR THE NEW MAXITRACK LEARNING PORTAL and access a wealth of downloadable resources including: Leaflets | Case Studies | Presentations | Photos | Installation Guide | Crib Sheets and more. 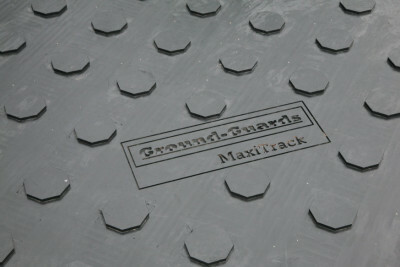 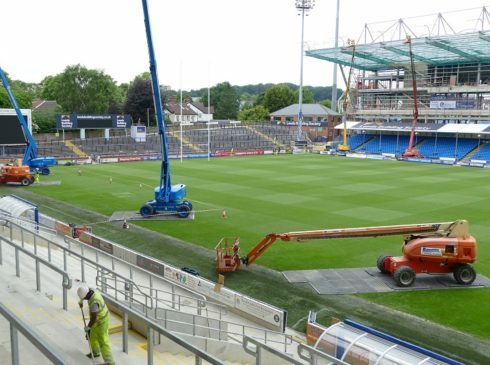 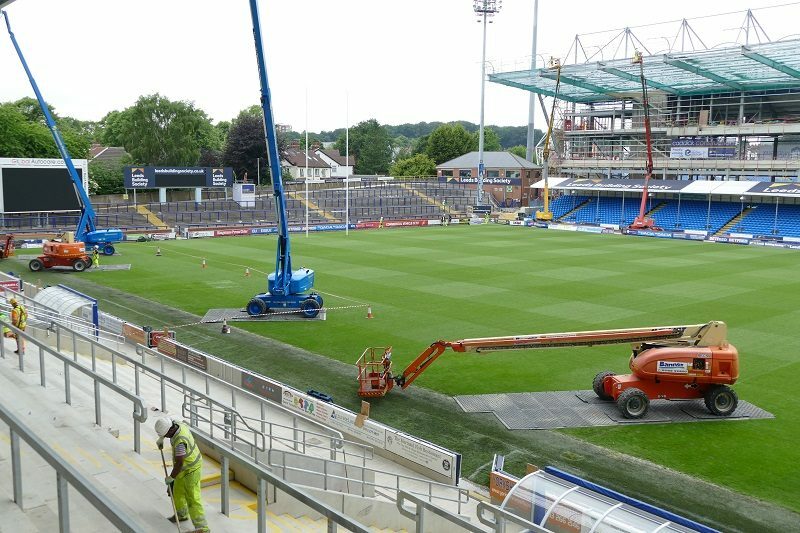 The new MaxiTrack system is a truly innovative approach to temporary ground protection. 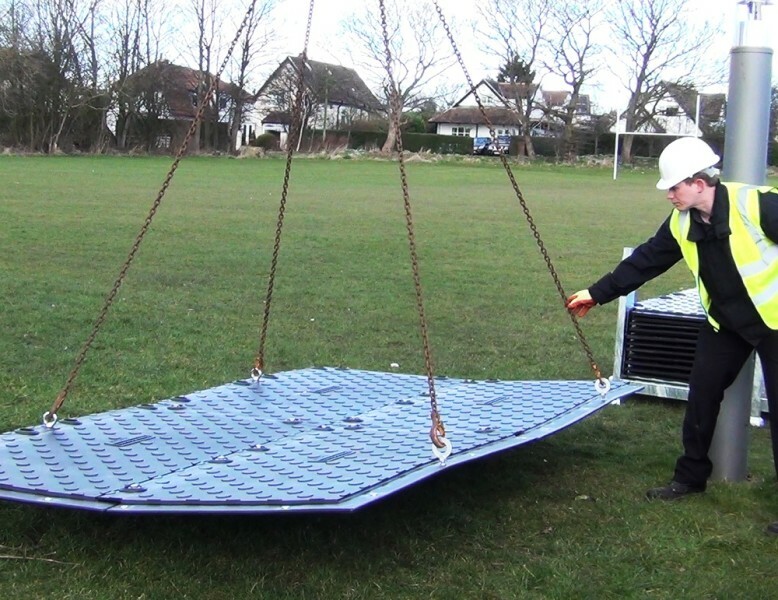 The lightweight 40kg mats can easily be handled by two workers without the need for specialist lifting equipment or expensive crane hire. 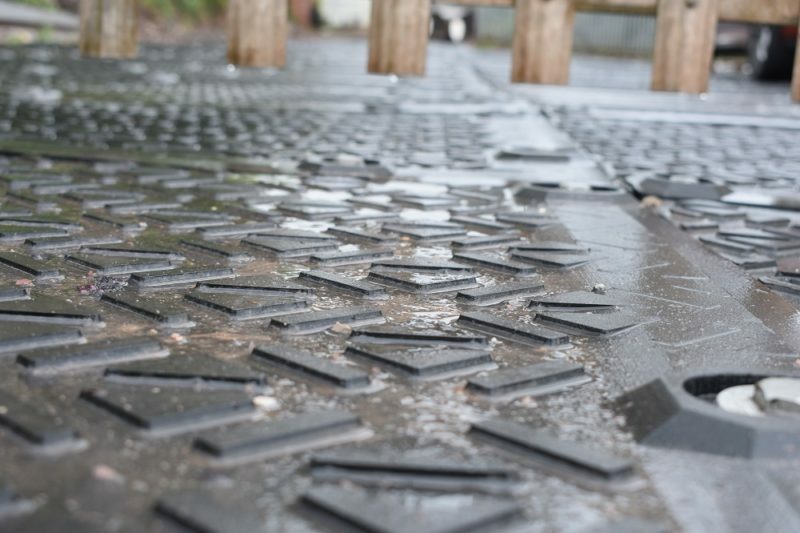 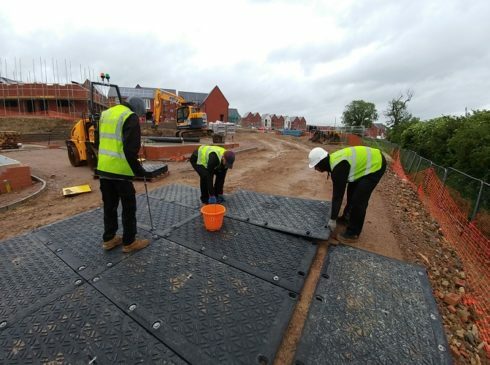 And yet the mats are extremely heavy duty and incredibly strong; we guarantee them against breakage by vehicles up to 130 tonnes! 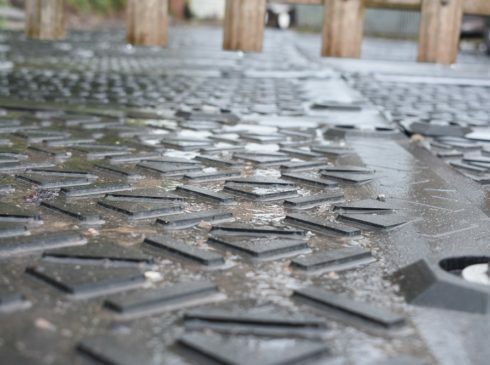 Overlapping flanges provide maximum support and mud suppression, with unique slotted joints to cope with heat expansion on large areas. 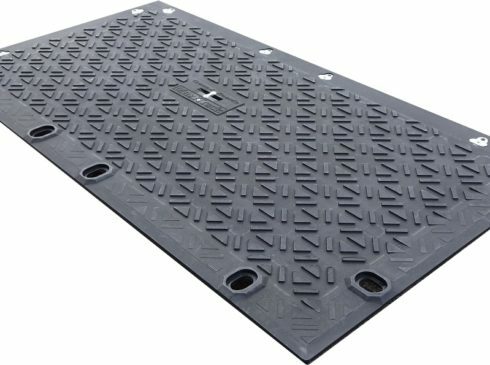 MaxiTrack mats have the unique SmartGrip tread on the upper side giving superior grip in all directions, and OctaGrip on the underside featuring high performance octagonal lugs. 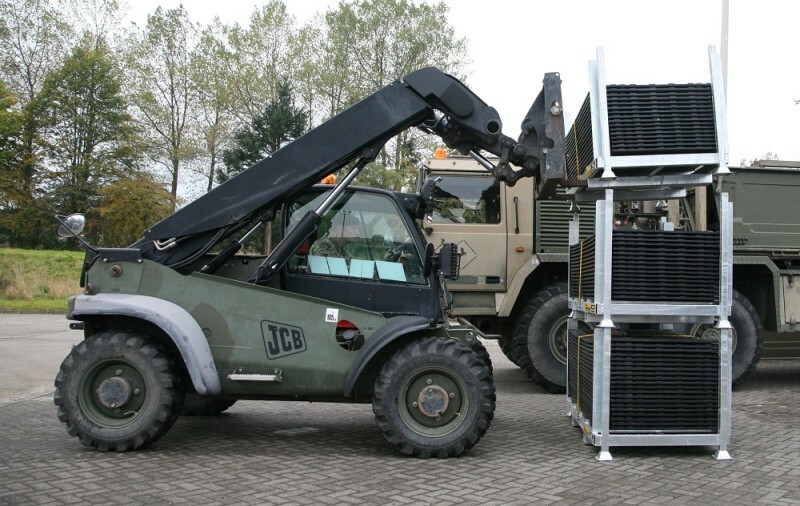 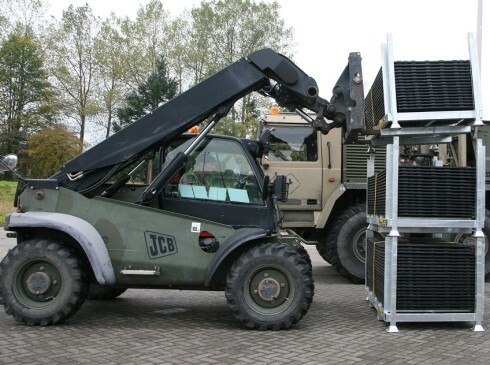 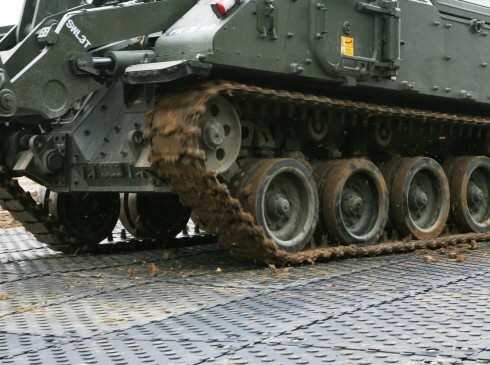 MaxiTrack mats are suitable for use with rubber tracked or tyred vehicles and military vehicles with rubber track pads. 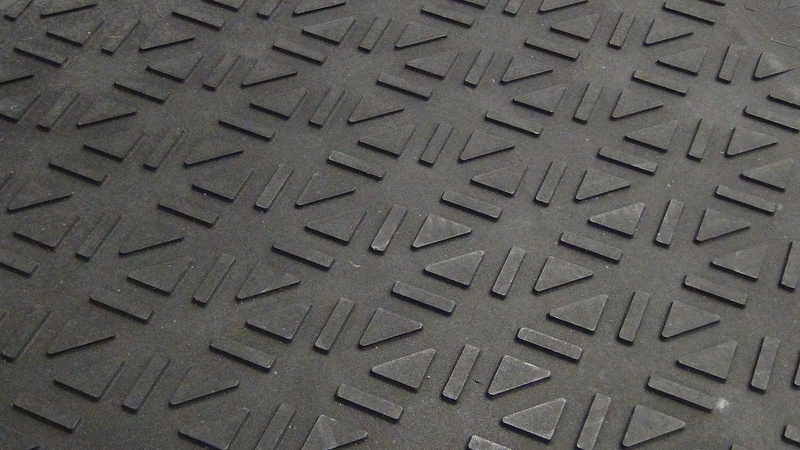 Steel tracked plant may be used at the owner’s discretion but will inevitably cause accelerated wear. 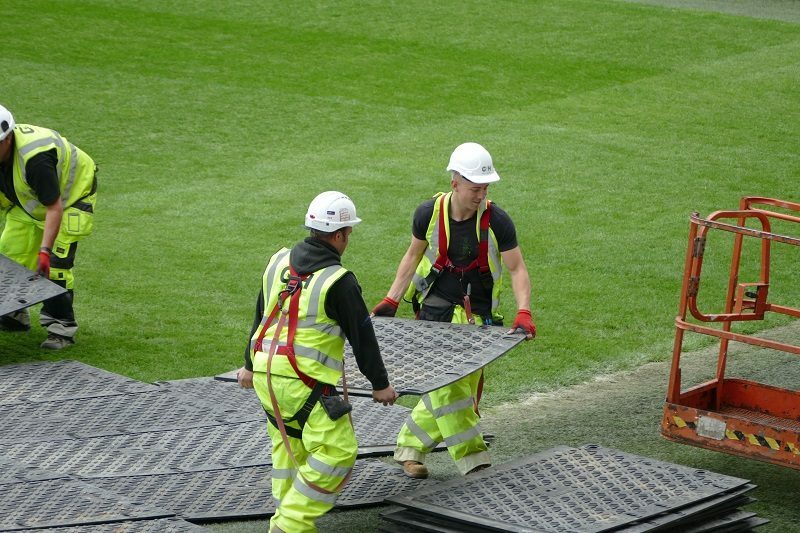 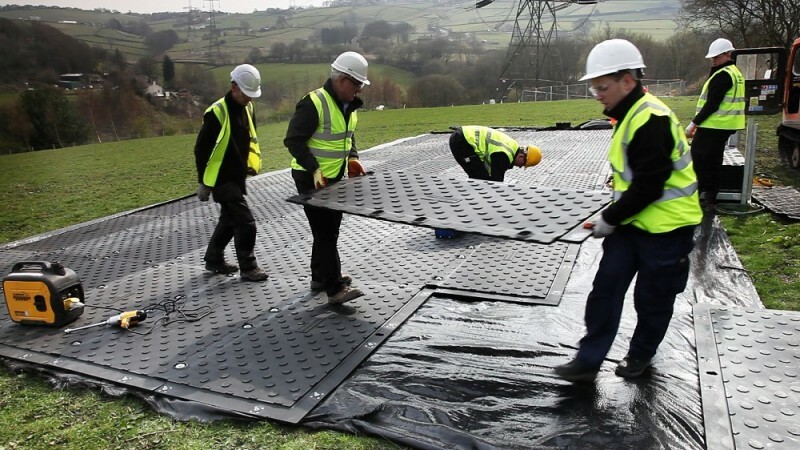 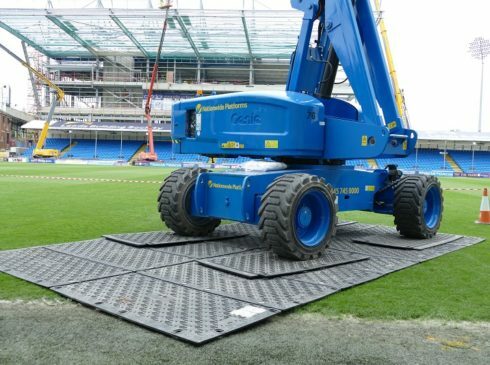 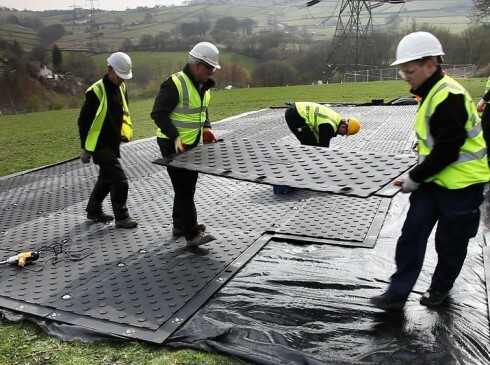 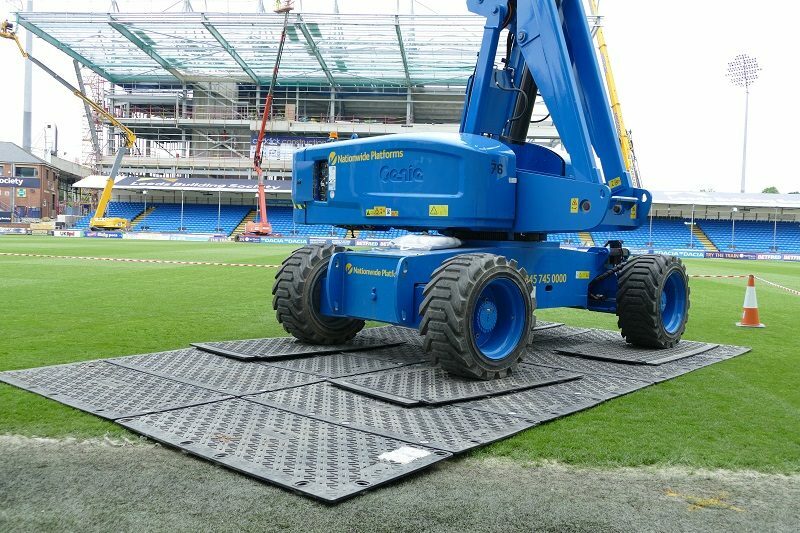 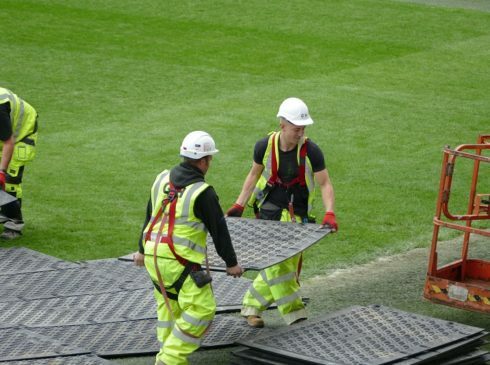 MaxiTrack mats can be kept joined in fours, and craned into position as big 3.6 x 1.8 metre mats. Click here to download the MaxiTrack leaflet. 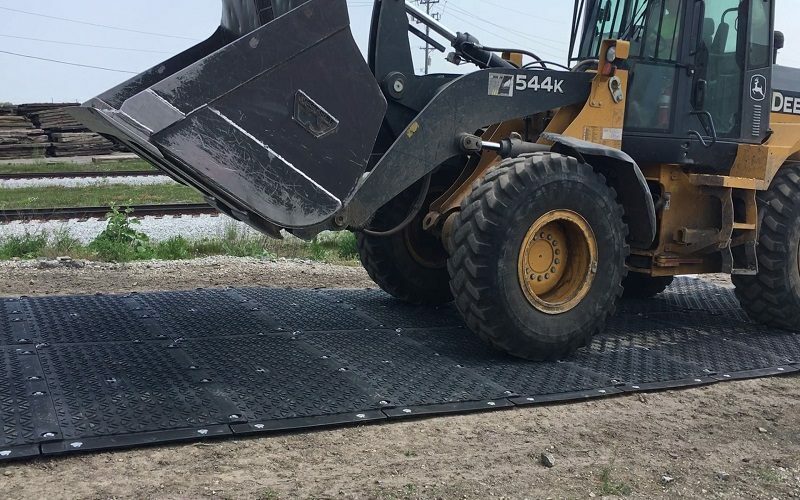 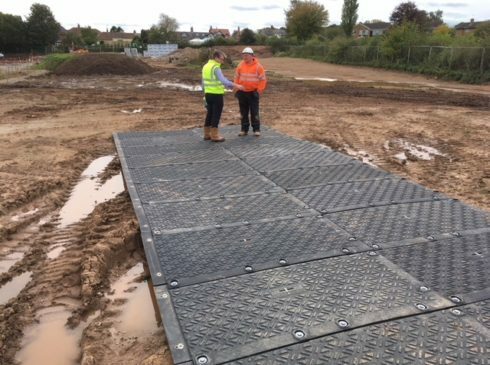 *Guarantee: MaxiTrack temporary roadway mats are guaranteed for 5 years against breakage by vehicles up to 130 Tonnes UDL (Uniformly Distributed Load) on firm ground conditions. However, it is the user’s responsibility to assess the load-bearing capacity of the ground, and to only operate vehicles within the weight that the ground is capable of safely supporting. 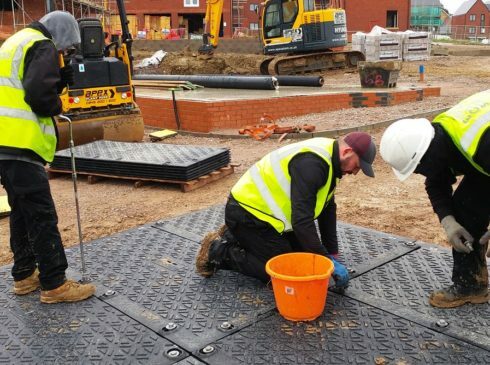 Ground-Guards Ltd accepts no liability whatsoever for any damage, loss or injury arising from the ground conditions on which these products are used. 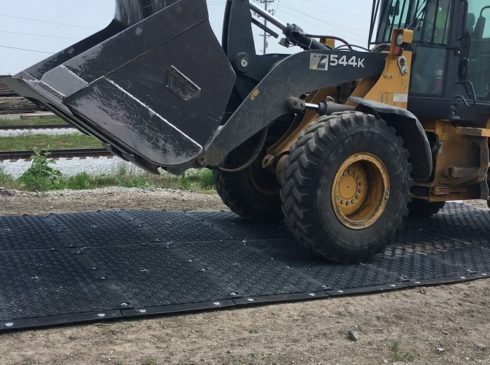 MaxiTrack mats are not suitable to use for bridging purposes. 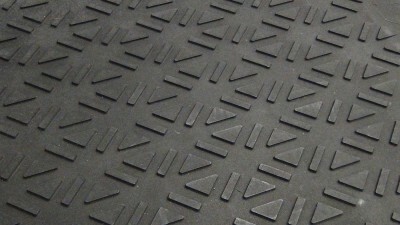 Damage caused by mechanical equipment (e.g. 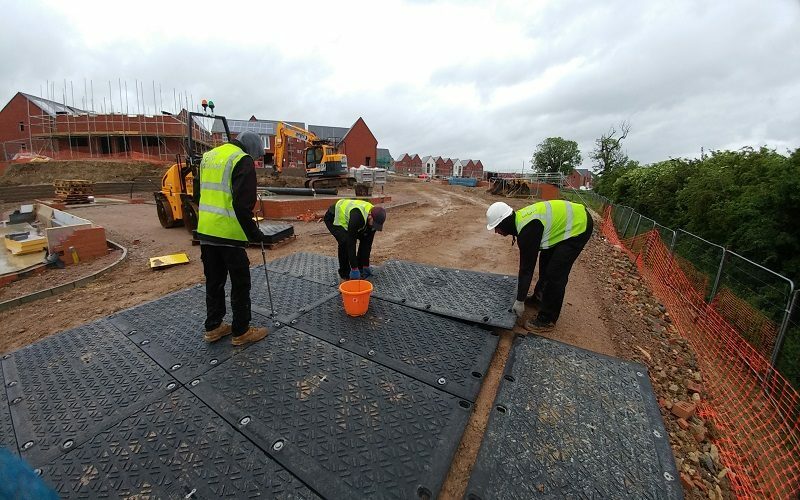 cuts by digger buckets) or sharp protrusions beneath the mats is not covered by this guarantee. 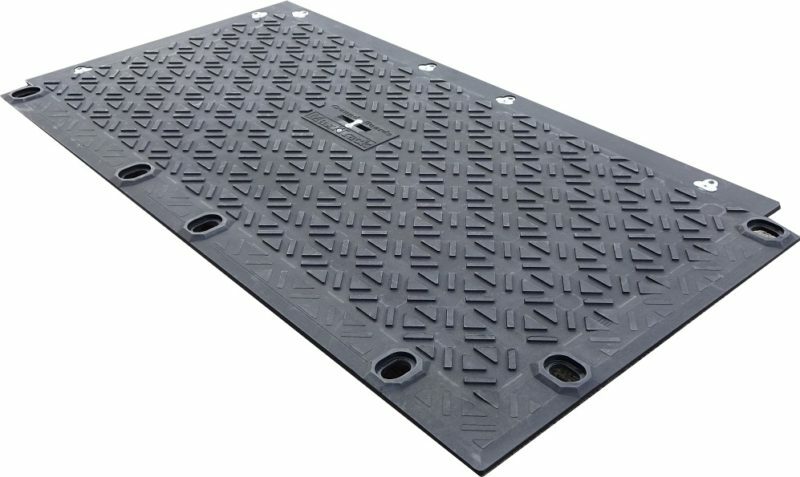 Joiner bolts and housings are wearing items, not covered by warranty.